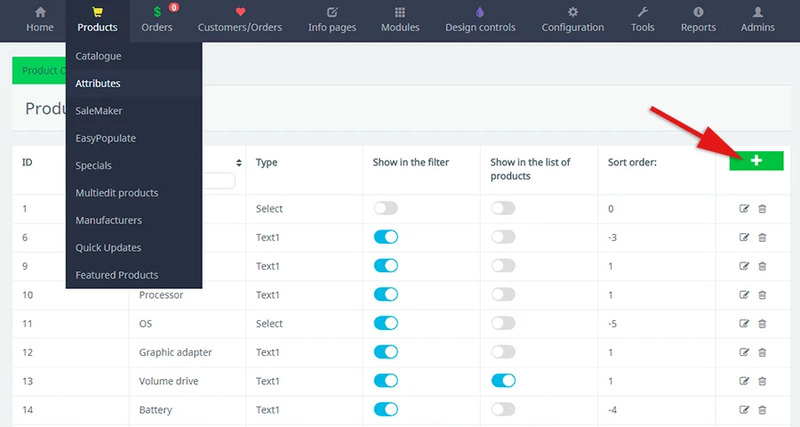 To edit product attributes in the top menu, select "Products / Attributes"
In order to create a new attribute, you must click on the green rectangle with a cross inside. 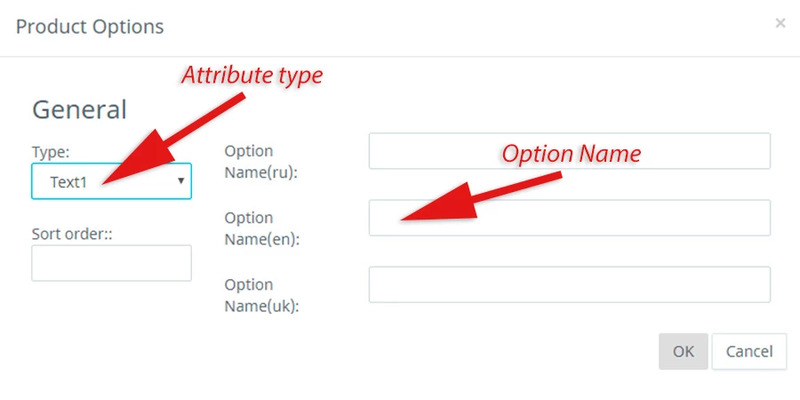 Each attribute can be named, assigned a type and assigned a sort order. Common in any language is the "id" attribute and its "Type", to choose from a drop-down list - text, select, radio. After filling all fields, click "OK" and the attribute appears in the general list. The attribute will be assigned the first available "id" in ascending order. 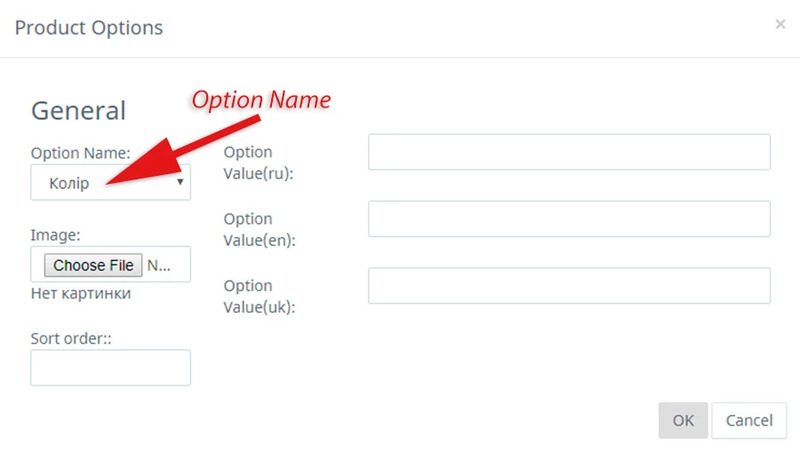 Now you need to add the possible values ​​of the newly created attribute - just click on the "Option Values" tab and on the "plus". 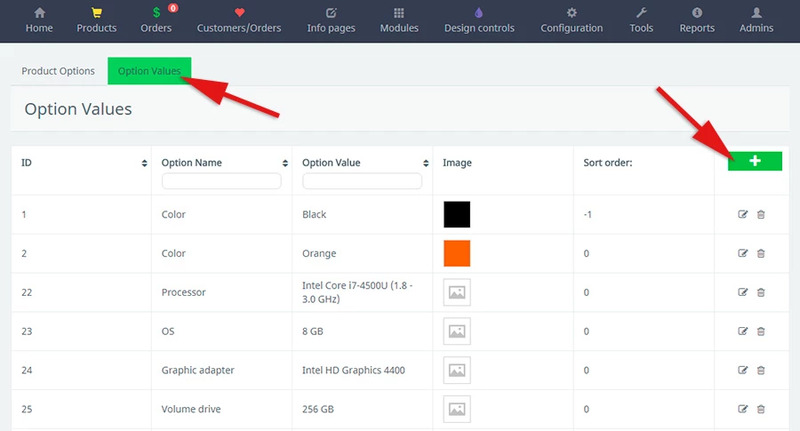 In a new window, from the drop-down list, select "Option name" and fill in its value. You can also select an image for this attribute and sort order. When finished, click the "OK" button. The system itself assigns the appropriate "id" to each valid value.